If you find that sometimes the flavour in juices or pops are too strong, I find infused water to be a lot less concentrated which makes it that much more refreshing. Another great reason to drink infused water is that you know what’s going into it - and that includes way less sugar! Processed drinks and fruit juice can contain high amounts of added sugars which can make you feel unwell in high amounts if you’re looking to hydrate a lot. With infused water you’re getting water directly, rather than through the small amount contained in pops or fruit juices, ensuring you stay hydrated all day long. The light flavour and taste will make you drink more without even realizing it! Finally, there are multiple health benefits that come with drinking infused water. As mentioned before, the flavour of the water will have you drinking more water without even realizing it, boosting your hydration. Without proper hydration, your body can begin to cramp and feel achy and even constipated. With a proper intake of water, your body can more efficiently flush out waste from your organs, sort of like a detox. 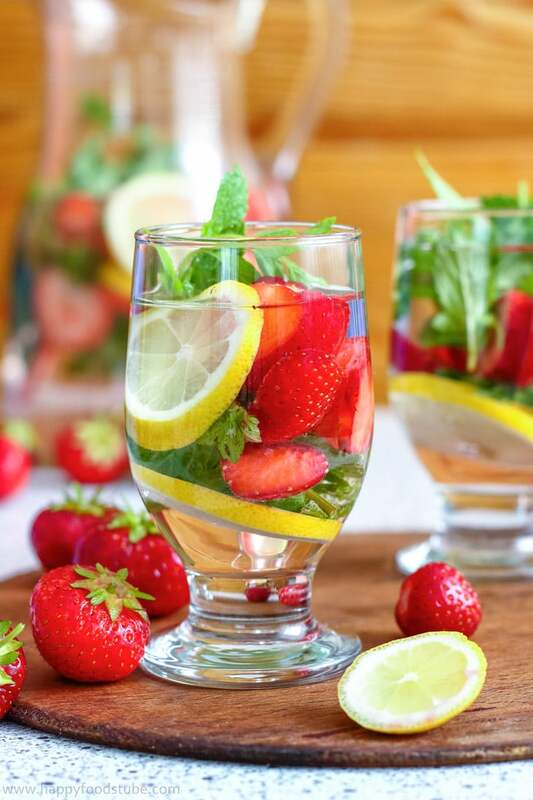 Another great benefit to infused water is the potential natural vitamins that can be found while infusing certain fruits and herbs, including Vitamin B and Vitamin C. Lastly, when you’re dehydrated, your body can sometimes send you false feelings of hunger causing you to want to eat more. When looking to lose weight - hydration can be key! If you own a pitcher with an infusing lid, add a bit more to each recipe, as each is currently accounting for approximately one large mason jar of infused water. Keep in mind that the thinner the slices of the fruit in your beverage, the more flavour it will infuse! Slice about half a cucumber into thin slices and add to your mason jar. Break up about 6-8 fresh mint leaves and add them to your mason jar, followed by filtered water. Give it a stir, and store in the fridge for 2 hours before drinking. Leave it in the fridge for a few more hours for an even stronger flavour! Slice one orange into thin slices and combine with 3/4 cup of blueberries in a mason jar. Top up with filtered water and let sit in the fridge for about 2 hours, or leave it in the fridge for a few more hours for an even stronger flavour! Slice half a lemon and add to about 6-8 cut up strawberries in a mason jar. Fill up with filtered water and let sit in the fridge for about 2 hours, or leave it in the fridge for a few more hours for an even stronger flavour! Cut in half and de-pit about one cup of freshly washed cherries and add to a mason jar. Slice up one lime and add to the mason jar and top up with filtered water. Let sit in the fridge for about 2 hours, or leave it in the fridge for a few more hours for an even stronger flavour! Peel and slice half a mango and add to your mason jar. Add one cup of pineapples, chopped into cubes and top up with filtered water. Let sit in the fridge for about 2 hours, or leave it in the fridge for a few more hours for an even stronger flavour! Add about a cup of pineapple, chopped into cubes to your mason jar and combine with 10-15 leaves of freshly chopped basil. Top up with filtered water and let sit in the fridge for about 2 hours, or leave it in the fridge for a few more hours for an even stronger flavour! Cut off the rind and chop up into cubes about one cup of fresh watermelon and add to a mason jar. Finely chop or break up 10-15 leaves of basil and add to the mason jar. Top up with filtered water and let sit in the fridge for about 2 hours, or leave it in the fridge for a few more hours for an even stronger flavour! Peel and slice up about one cup of pineapple and add to a mason jar with about 8-10 broken up mint leaves. Top up with filtered water and let sit in the fridge for about 2 hours, or leave it in the fridge for a few more hours for an even stronger flavour!